Fresh from hosting the 53rd Super Bowl on Sunday, Atlanta’s hopes to also hold the 2026 World Cup could be scuppered by anti-LGBT laws. 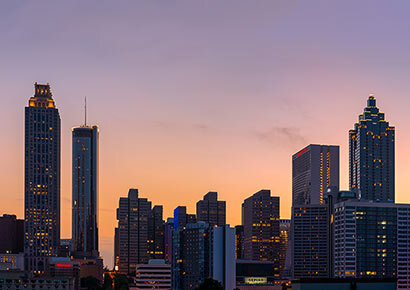 Atlanta, in the state of Georgia, is competing to be one of 10 American cities to share hosting duties for the massive global event. For the first time, the tournament in 2026 will be jointly hosted by three countries – the United States, Canada and Mexico – across 16 cities. Minky Worden, HRW’s director of global initiatives, noted that during the 2026 bidding process, FIFA required, for the first time, for bidding nations to disclose their human rights risks and a plan of action for addressing them. “That means that Atlanta could be tossed out of the World Cup competition if [Georgia] passes a discriminatory law,” she wrote. In 2016, Georgia’s governor agreed to veto an anti-LGBT bill following immense pressure from human rights activists, businesses and even Hollywood itself. The legislation would have allowed businesses and taxpayer-funded religious organisations to discriminate and deny services to LGBT people. The state’s new governor, Brian Kemp, has said that he would sign a so-called “religious freedom” law to allow businesses to refuse to provide services to LGBT people on the basis of religious beliefs. Under the recent Human Rights Campaign Foundation and the Equality Federation Institute’s 5th annual State Equality Index, Georgia was among the states given the lowest rating of “High Priority to Achieve Basic Equality” when it comes to LGBT rights.